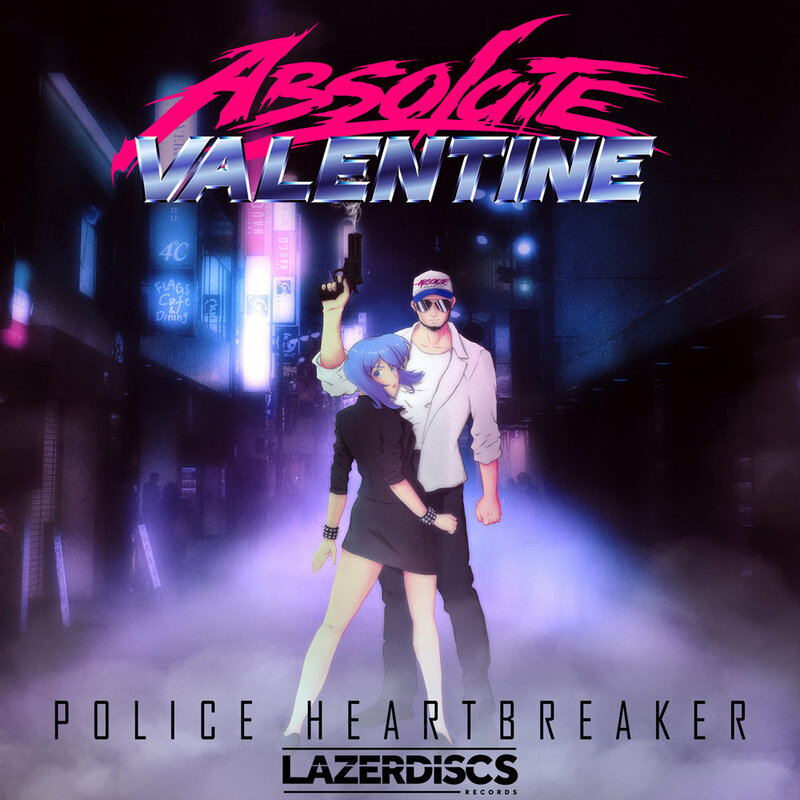 Absolute Valentine - Police Heartbreaker - NewRetroWave - Stay Retro! | Live The 80's Dream! Derime has been active in the synthwave community for a number of years, from mastering tracks for various popular artists to working with staples in the synth community such as Drive Radio. As one can imagine, Derime has listened to a monumental amount of synthwave in his career – and this experience is clearly shown in “Police Heartbreaker”. Two long years in the making, “Police Heartbreaker” follows the story of a cop who’s lover has been murdered – and his lonely quest for revenge. This LP is a full–fledged concept album, with each track setting a particular scene in Absolute Valentine’s retribution filled journey, and his effort not to be “consumed by the evil he is hunting”. The story is detailed on the “Police Heartbreaker” Bandcamp page. 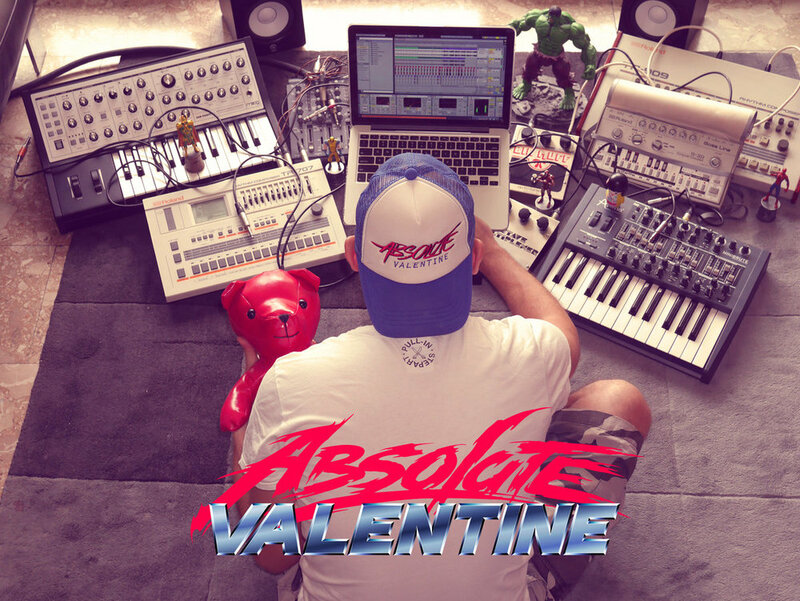 Absolute Valentine hasn’t invented any new genres, but he certainly plays with them. While many tracks on this album feature elements of different genres from techno to darkwave and outrun, somehow they all still manage to sound quintessentially retro–synthwave. 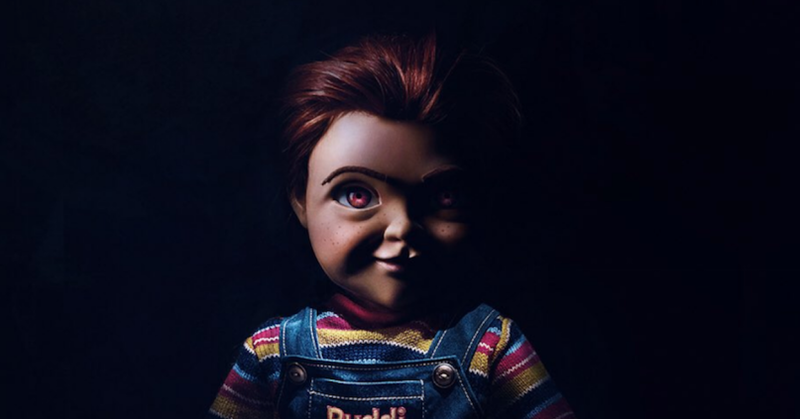 The tracks on this album are mastered perfectly, and flow well together – no easy feat considering the multitude of different synths and effects used on the album. 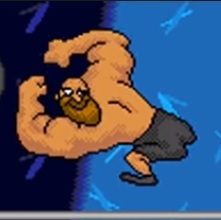 The songs range in tone from light to dark, symbolizing the fight for the main character’s conflicted emotions towards vigilante revenge and being a man of the law. This album feels like the soundtrack that it is supposed to be. 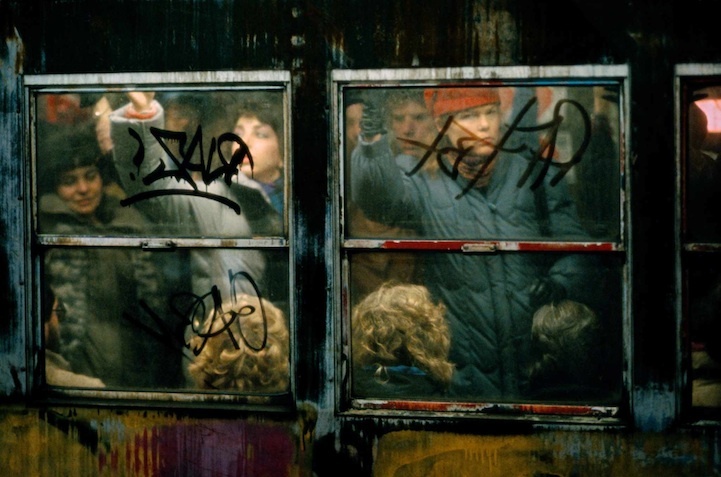 It is easy to imagine Absolute Valentine in an intense car chase during “Extreme Drift” or sulking in an alleyway “In The 42nd Street”, beating up pimps and drug dealers, searching violently for clues to the killers whereabouts. After all, synthwave originated as soundtrack music for 80’s films, and it is only fitting that a concept album such as this would sound exactly like an 80’s soundtrack, remastered for the digital age. “Synthwave Rider”, the album’s final and longest track. It begins airy arpeggiated, as if Absolute Valentine is finally freed of his quest for revenge, then, around 5:54, the song abruptly changes pace – exactly as if the screen faded to black and the credits are rolling. The standouts on this album are “Bad News”, “Police Heartbreaker”, “No Way Out” and “Synthwave Rider”. Go grab a copy of this album soon and hear the film-like journey that is “Police Heartbreaker”.